Welcome to our company in the news. Opening Day on December 1, 2011 for A. 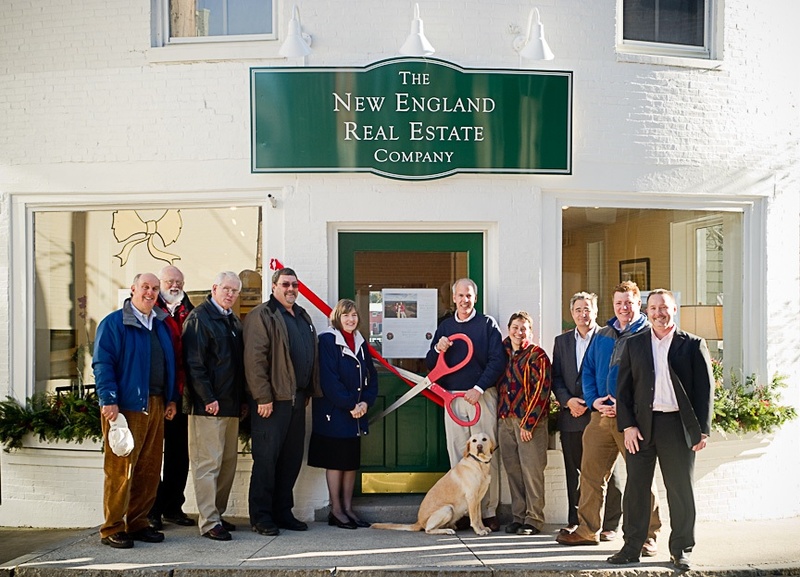 Flint Decker, Founder, President & Designated Broker of The New England Real Estate Company, Gail-Marie Decker and Annie Decker, celebrating an old-fashioned New England ribbon cutting ceremony held with town officials in Camden, Maine. We are humbled and honored to receive media coverage on our company, from our opening day celebrations, to supporting our community, to our ground breaking events on new projects, as well as the continued growth and interest expressed in our company. Please visit the many articles that highlight the events our company has been involved in. Thank you and come back often as we continue to make headlines. A Special Story - Our Opening Day. Please visit the page "Opening Day of Our Company", for highlights of the enjoyable moments we shared with our friends and family during this celebration, including a visit by Mr. Don Carrigan, Midcoast reporter for WLBZ Channel 2 Bangor and WCSH Channel 6 Portland, who made our opening day the lead story that evening! "Please click here to see the full story." The New England Real Estate Company In the News.